Candlewick Illustrated Classics are collectible editions that bring treasured stories to life with lavish full-color illustrations and elegant French flaps. This superb collection of thirteen Andersen tales includes "The Princess and the Pea," "Thumbelina," "The Emperor's New Clothes," "The Little Mermaid," "The Ugly Duckling," and "The Snow Queen." Naomi Lewis's translations brilliantly capture Andersen's irresistible humor and conversational tone, and a whole host of memorable characters are brought to life in Joel Stewart's fresh and whimsical illustrations. Illustrated by the beloved creator of Mike Mulligan and His Steam Shovel, The Little House, and Katy and the Big Snow, here is a delightful version of the tale that boys and girls have loved for centuries. The Emperor himself, his court, and his clothes-or lack of them-are ridiculous as only the master storyteller Hans Christian Andersen can make them. Fifty-five years ago, Virginia Lee Burton added to this tale of fun her own irrepressible humor in pictures and design. This brilliant new edition features Burton's original illustrations photographed anew, freshly exhibiting her lively concoction of remarkable spirit and beauty. Large, full-color, richly detailed illustrations characterize this retelling of the famous Hans Christian Andersen tale. 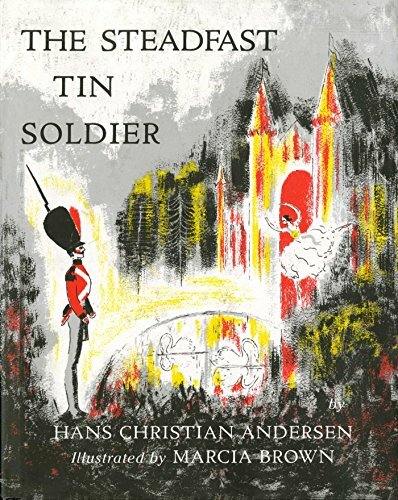 Originally published in 1991, this collection of classic fairy tales by Hans Christian Andersen, illustrated by internationally acclaimed artist Lisbeth Zwerger, has been expanded - three stories added - and completely redesigned. Munchausen is the father of all fantastic liars, and as such, he is part magician and entertainer and part scoundrel-but a charming one, of course Here, in simple language, Heinz Janisch retells the best-known Munchausen stories with humor and playfulness, making for a lighter and more whimsical presentation than usual. These retellings are mixed with never-before-heard adventures that were supposedly found only recently among the long-lost possessions of the well-known Baron of Lies. Could it be that new Munchausen material only recently came to light? Or might Janisch be playing with us, weaving more magic and mischief into Munchausen as he goes along, compounding the tallness of these already tall tales? Only Janisch knows for sure, but it hardly matters, given the thrill and pleasure of the stories he has to relate. Aljoscha Blau illustrates Munchausen's fabulous journeys and exciting adventures with gorgeous imaginative pictures that are sure to entrance both children and adults. Heinz Janisch was born in Austria in 1960 and studied German literature in Vienna. He has published numerous books, including many children's titles, which have been translated into more than twelve languages. He was nominated for the 2009 Lindgren Memorial Award and has been nominated for the 2010 Hans Christian Andersen Award. In 2008 he received the Austrian picture book award. He lives in Vienna. Aljoscha Blau was born in 1972 in St. Petersburg and has been living in Germany since 1990. He studied art in Hamburg, has received several awards, and has exhibited his works in Paris, New York, Hamburg, and Bologna. He lives in Berlin with his wife and two children. 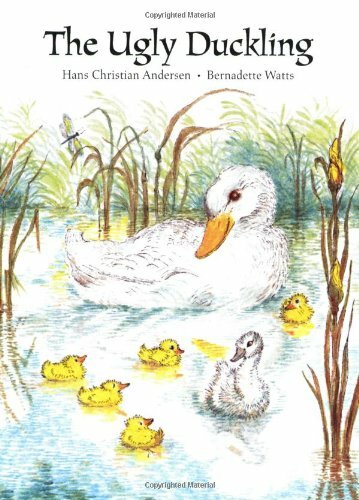 Ever since its publication in 1845, Hans Christian Andersen's The Ugly Duckling has been a favorite with generations of children around the world. Today's youngsters will be equally moved by the hapless ugly duckling, who, ridiculed and rejected by all, suffers terrible hardships. And they will celebrate along with him when he finally emerges triumphant as the most beautiful swan of all! Bernadette Watts's detailed illustrations chronicle the bittersweet story with charm and poignancy. Perfect for institutional, trade and gift accounts. 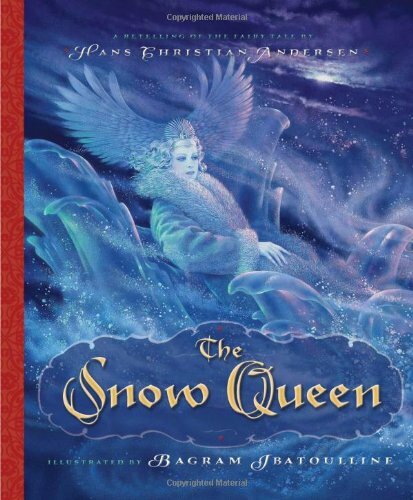 Hans Christian Andersen's The Snow Queen, the classic tale of friendship, love, and bravery, is beautifully retold with lavish illustrations by master artist Bagram Ibatoulline.Best friends Kai and Gerda would do anything for each other. When Kai starts to behave cruelly and disappears, Gerda sets out on an epic quest to save Kai from the evil Snow Queen. But can Gerda break the Snow Queen's enchantment and complete the final task?Full of magic and wonder, this new picture book will delight fans of beloved classics like "Thumbelina," "The Princess and the Pea," and "The Little Mermaid."